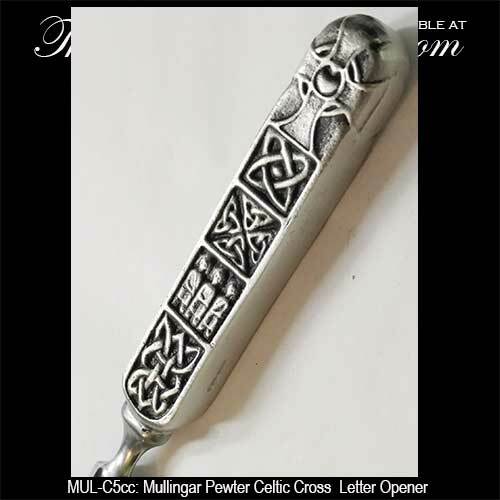 Mullingar Pewter letter openers are available in two sizes that feature the Claddagh and shamrocks along with Celtic motifs. 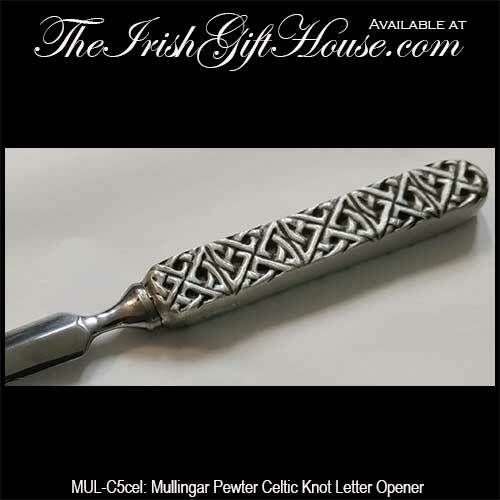 The gift of a Mullingar Pewter letter opener will certainly be prominently displayed on any executives' desk. A pewter letter knife is also an attractive gift for a recent graduate. This Irish letter opener features the Claddagh on the pewter handle. This Celtic letter opener features embossed knot-work on the pewter handle. 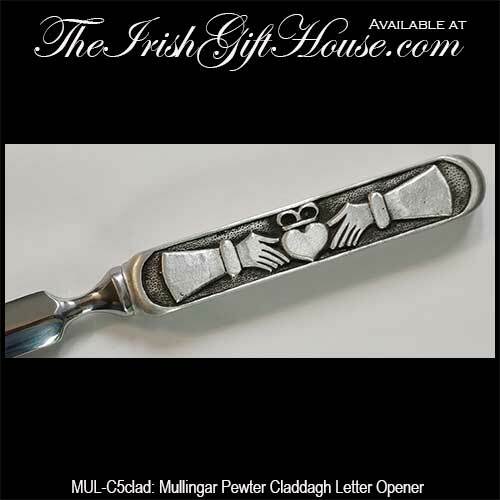 The Claddagh letter opener features the Irish design embossed on both sides of the pewter handle. The Irish Gift House features additional paper openers on our Irish Desk Accessories page that you will find in the Irish Gifts for the Home section.